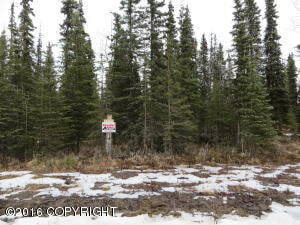 DESCRIPTION: Great residential or recreational property, there is a driveway & clearing. Electric is adjacent to lot. DRIVING DIRECTIONS: Sterling Highway south to aprox. MP 110.25, turn on Johnson Lake Road, left on Abram, then left on Willow Street. Look for real estate sign.